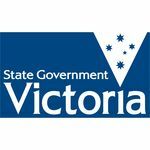 Public Aquatic Facilities are regulated in Victoria by the Public Health and Wellbeing Act 2008 and the Public Health and Wellbeing Regulations 2009 (the regulations). Aquatic facilities are defined in the regulations to include swimming and spa pools with public access. Part 6 of the regulations outline the minimum requirements pool operators need to comply with to maintain swimming pool water. To help pool managers operate their pools safely, the Department of Health published the Pool Operator’s Handbook. The handbook provides practical advice and water quality standards for pool managers, as well as protocols for dealing with incidents such as faecal releases into a pool or dealing with pool water that has been contaminated with Cryptosporidium. While these guidelines were written for public aquatic facilities, many of the ideas within the handbook can be applied to all types of pools. 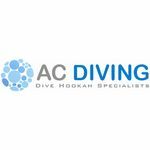 Our sister company AC Diving specialises in products for recreational and commercial diving, specialising in Diving Hookahs and High Pressure Compressors for tank filling. 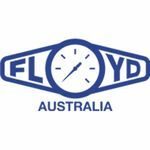 For over eighty years Floyd Instruments have been one of Australia’s leading suppliers and only manufacturer of a wide range of pressure gauges and industrial thermometers. They are also distributors for Crystal test pressure gauges and Reotemp bimetallic thermometers. Floyd Instruments manufacture a comprehensive range of bourdon, capsule and diaphragm seal type pressure gauges, in addition to a wide range of industrial thermometers. AC Pools distributes the full range of Floyd products. 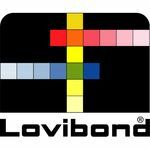 Lovibond is a market leader in the colour measurement of liquids. The company was founded in 1885 by Joseph Lovibond, a prominent brewery owner who developed the ‘colorimeter’ as a means of ensuring the quality of his beer. By 1893 he had perfected his research and introduced the first instruments. Today Lovibond is a worldwide supplier of specialised instruments including water testing equipment for pools. AC Pools proudly distributes Lovibond product range. 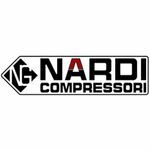 Founded in 1980 Nardi Compressori of Italy are a world leader in the design and manufacture of high quality oil-less Air Compressors and Diving Hookahs, with an emphasis on innovation and quality. Nardi compressors are renowned the world over for their quality, reliability and quiet operation. AC Pools proudly imports and distributes the Nardi range of oil-less compressors and diving hookahs throughout Australia. 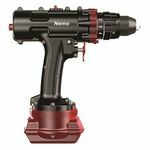 Nemo Power Tools are the first of their kind and the world’s only completely submersible battery-operated power tools. The Nemo V1 Drill was originally custom-designed and built for scientific and government organisations in 2012. The technology was then adapted into a commercial version and production began in 2013. Today, Nemo tools are being used around the world by commercial and research divers, pool professionals, boat owners, plumbers, construction workers, military divers, rescue teams, and a lot more. 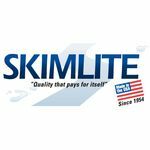 Skimlite have been manufacturing professional grade poles, skimmers and rakes since 1954. Professionals and Homeowners alike have relied on Skimlite quality and ingenuity for over 60 years. AC Pools is proud to offer the Skimlite range of products in Australia for the professional or homeowner wanting a quality product that will stand the test of time. 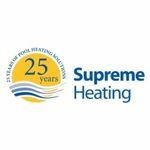 Supreme Heating is a proud Australian owned company specialising in the latest energy efficient heating solutions. They have spent more than twenty five years heating swimming pools across Australia, and more recently throughout Asia and New Zealand. Supreme Heating offers a wealth of experience in solar pool heating from conventional strip systems and rigid panels, to the latest in high performance evacuated tube systems.